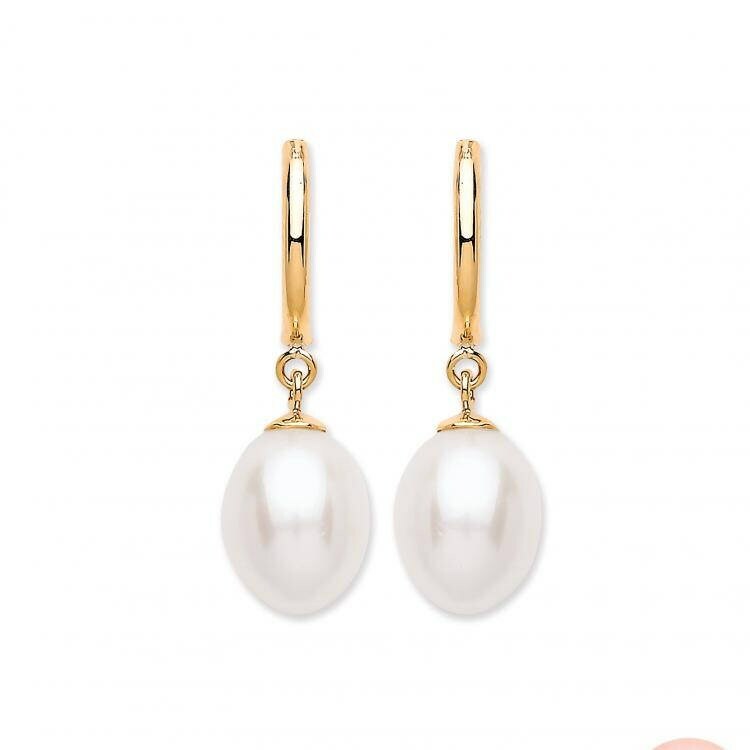 An elegant pair of yellow gold droplet earrings set with oval shaped white freshwater pearls. Crafted in 9 carat gold with butterfly fastenings. Size approx 20x6mm.